We had to make some tough calls today. 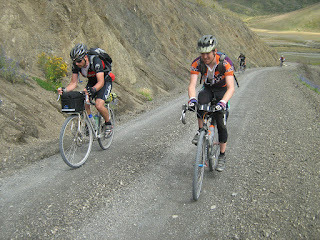 Matt was doing it hard and decided to stay on in st arnaud, as did 2 of the revolution crew. Jonty nick and I decided to press on and try to reach murchison. We had some awesome riding. The porika track was one heinous climb, and the descent wasnt much better. The braeburn seemed to be fast wide and downhill, and by this time, dark. Awesome. The last 1.5 hours into murch was done with our lights on. Holed up in a backpakers now.